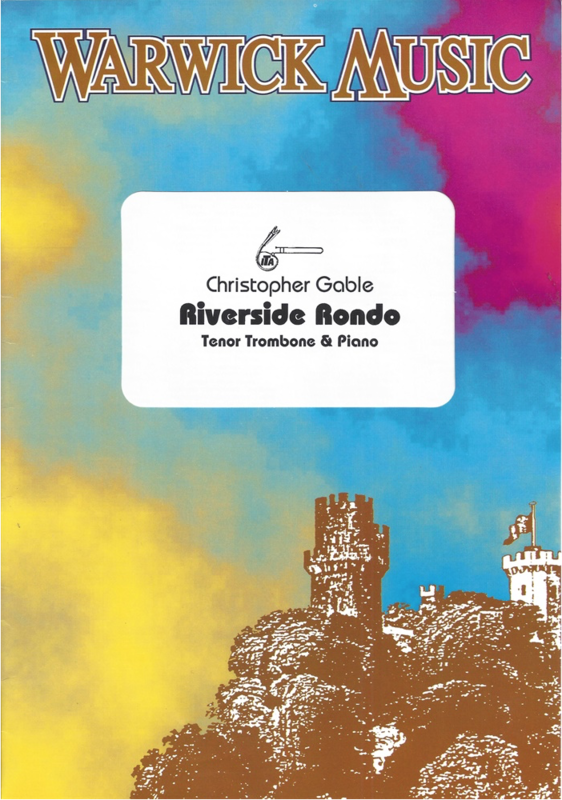 Composed for his senior recital finale, Gable was inspired by his hometown of Riverside, California and has created this clever rondo in a neo-classical style. Indicated with a B-flat major key signature, chromaticism abounds while still maintaining a sense of tonal center. The range, E to b-flat1, is not overly demanding; however, large skips, alternating articulations, and embellished arpeggios provide some technical demands. Mixed meter, rhythmic energy, and stylistic contrasts will engage the audience’s attention. Playful exchanges between piano and soloist offer opportunity for developing chamber music skills. Inspired by the carillon at UC-Riverside, "Oh God, Our Help in Ages Past" is quoted near the end. This is a solid younger college or challenging high school solo. Typical of this publisher, the pages and ink are crisp.